Evans™ Strata™ series utilizes a unique coating that simulates the feel and warmth of sound found with calf skin heads. 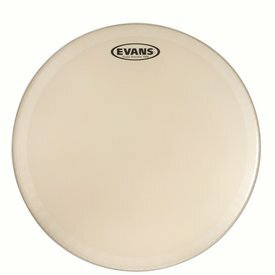 Evans™ 14" Strata™ 700 concert snare drum head features a single ply of 7.5mil film with a coating that closely resembles traditional calf skin in sound and feel. 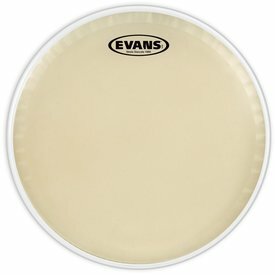 The Strata 700 offers balanced sustain with mid-range overtones.